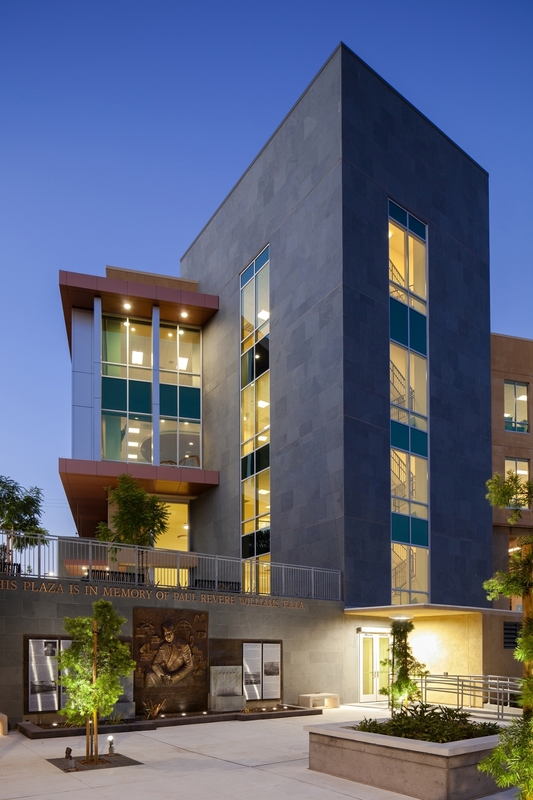 AE3 was the Prime Architect that led the design and construction of this main building in a new campus for the South Central Los Angeles Regional Center (SCLARC) — a chartered non-profit responsible for providing aid to 50,000 developmentally disabled people. The $25 million, 165,000 sf project is SCLARC’s first ground-up building, and includes office space and parking for over 300 employees. In addition to serving as the organization’s headquarters, it also serves as the key community center for the population it serves. 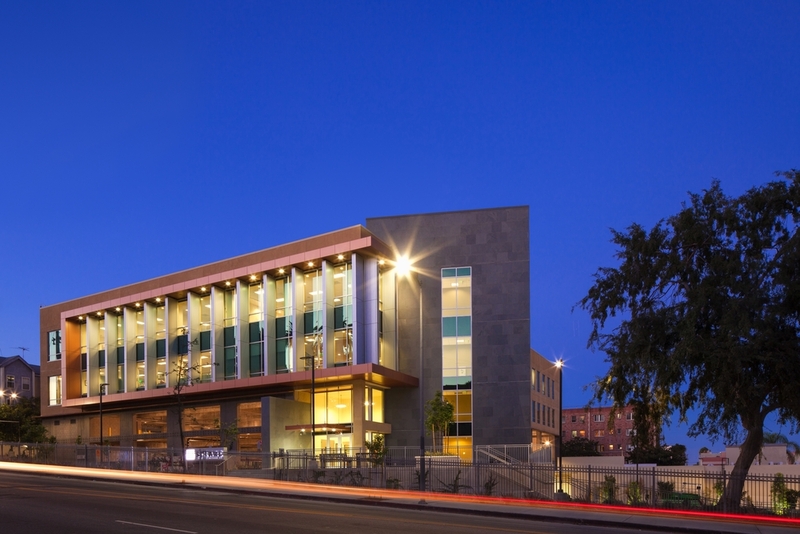 It is the largest ground-up construction project in the West Adams and South Central districts in over 30 years. 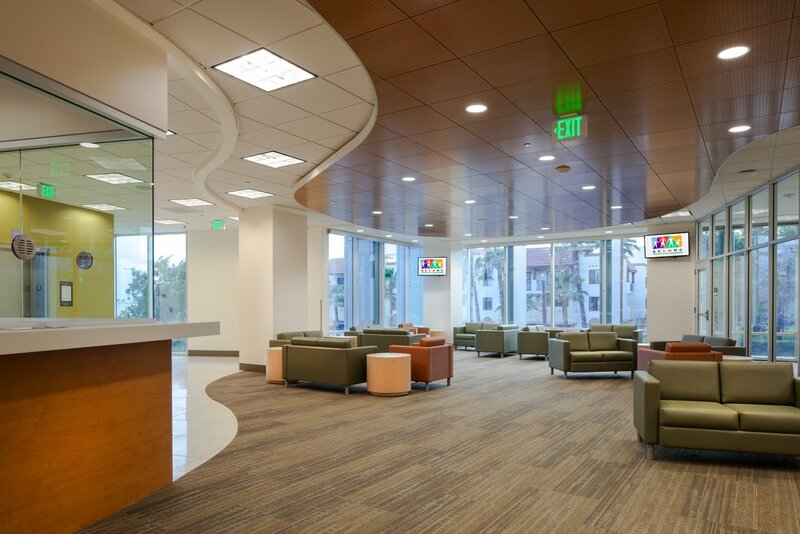 In addition to providing administrative offices, the Legacy Building contains clinical/medical office space with over 30 exam rooms, educational/training areas, and a family resource center. 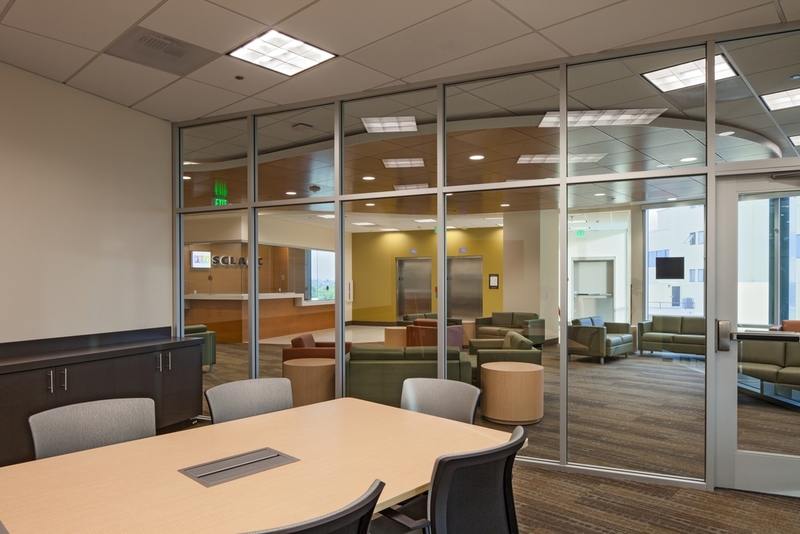 A bank of conference rooms serve internal, client and community meetings. The building also includes a state-of-the-art video conferencing center and 300-space, semi-subterranean parking structure. Outdoor features include generous landscaped terraces, a large public entry plaza, linear park feature, and plaza. The lower portion of the building is covered with green screen that will further de-emphasize the parking area with the passage of time.